My husband and I were lucky enough to spend three months in Europe a few years back. Nearly two of those three months were in Italy. While I don’t have a drop of Italian blood in me, I’m convinced I lived in Italy in a former life! From the time I first stepped foot into the country, I fell in love with the people, the climate, the food, the art, and the culture. Reading The House at the Edge of Night, by Catherine Banner, was a bit like sitting at a table all day on a piazza in an Italian hill town watching the villagers live their lives. The author managed to successfully capture the flavor of the people of this wonderful country nearly perfectly. 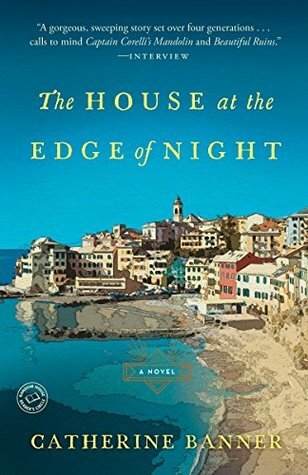 The House at the Edge of Night is a multigenerational saga of a family who lives on the fictional island of Castellamare in southern Italy near Sicily. Amedeo Esposito is an orphan who is taken under the wing of a doctor in Florence. He takes his last name and follows his lead in the medical field. He winds up on Castellamare, where the native people eye him suspiciously – as Italians are wont to do. Eventually he marries his beautiful wife named Pina who is strong-willed and smart as can be. Though it takes a bit, the locals eventually accept him as one of their own. Unfortunately, Amedeo makes a big mistake that results in two babies being born on the same night – one to his wife and one to the wife of the nasty Count who lives on the island. The Countess claims Amedeo is the baby’s father, and unfortunately, it could be true. The story goes on from here, as Pino agrees to continue to live with him and raise their family. This leads to that, and Amedeo finally gives up his medical practice to open a café in his home, which is referred to as the house at the edge of night. This café takes on a life of its own, and as the years go by, the café itself is as much a character as the people who walk and talk. 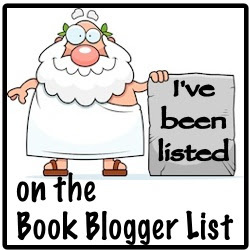 Readers watch the wonderful characters that inhabit the island as they live through world wars, attempts to steal relics, an economic downturn that nearly cripples the population, love affairs, births and deaths. At the end of the day, however, it always comes back to the house at the edge of night. I loved the story. I found its casual pace to be much like the casual pace of life in Italy. As the author described the food, and particularly the homemade limoncello and limettacello and arangcello that they drank morning, noon, and night, I could taste it. I could feel the hot sun on me as she described the town. I think she really captured the flavor of Italy. It made me want to make sure my passport was updated!